Husky Plywood is part of Canada’s largest company focusing on decorative wood products. Since 1940 our corporation, Commonwealth Plywood harvests the forest to supply and operate many veneer, saw, flooring and plywood mills. Our plant located in Ste-Therese, just north of Montreal, Quebec (Canada), manufactures Decoratif Hardwood Plywood. Founded in 1940, this plant was the first of the group. Back then, the factory produced birch plywood for the Royal Air Force’s Mosquito bomber, during World War II. 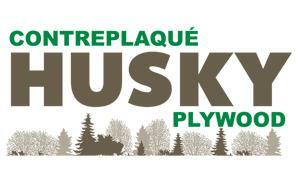 Today, Husky Plywood – Ste-Therese, manufactures up to 16 000 panels per week. Based on a solid experience and focusing on quality, we offer a wide range of decorative hardwood veneer and numerous options of cores that can be laminated to your specifications.